The induction ceremony took place on August 11, 2018 as part of the museum's annual gala in Saratoga Springs NY. A lovely exhibit featuring photos, documents, artifacts and costumes from his career is on display until August 2019. Many friends, former students and colleagues joined his daughters for the gala as well as an exhibit tour and brunch on the following day. Broadway. Ernesta taught with the same approach, though she had her own zany way, which I thoroughly enjoyed. I got to know them better, dancing with Ernesta's company in the summer of 1998, and it was then I met their father, Alfredo. He was during those years often on tour as ballet master with Pina Bausch, so I didn't get to see him but occasionaly. I had a few classes with him, shared a few meals, and got a sense of his quiet yet piercing wisdom. I'm not sure where it came from, where it started exactly, but it was a rich legacy, what the Corvino family was sharing. Integrity like you wouldn't believe. Truth. Goodness. Love. Forever in my heart. This film captures that, especially in the laughter at Martha Hill Awards. Love to all of them. 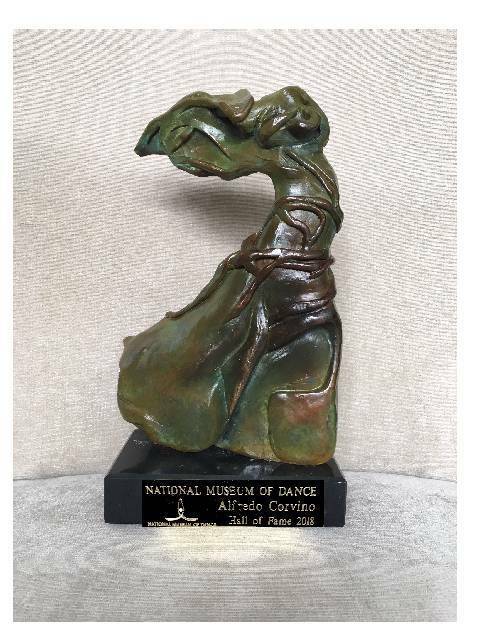 So glad Alfredo has been recognized recently, inducted into the Dance Hall of Fame. Wish I could have been there. I keep watching this over and over. Have to say it kills me every time. WOW. It is an amazing collection of moments, eras, lifetimes. The photos of Dance Circle where we all spent so many hours, the pics of you and seniorina as kids with the family, the Martha Hill award and just your dad and your beautiful family. All brings back so much to be grateful for. Thank you thank you for sharing. So much work and love went into this. Sending hugs to you and Andra and even the cats. Thanks again for sharing. Please keep the link live. I love to go see you guys over and over. So special.